Born at Vernon River, Prince Edward Island on 26 August 1879, he came to Manitoba where he was Principal of Melita School (1912-1913). In 1913, he joined the teaching staff of the Winnipeg School Board, working at St. John’s High School until he moved to General Wolfe School in 1927, serving there until 1945, when he retired. 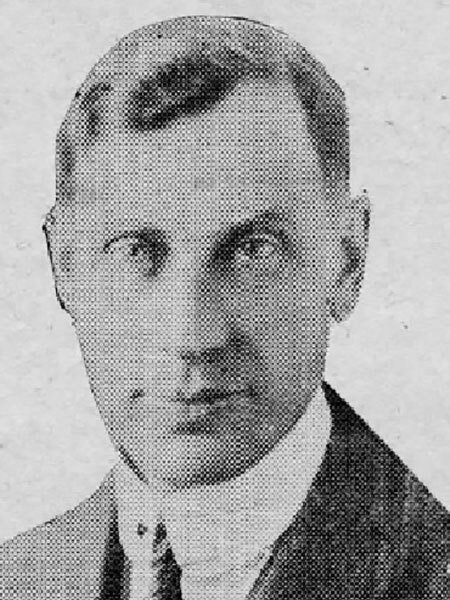 In 1919, he was elected the founding President of the Manitoba Teachers’ Federation. He was a proponent of the Margaret Johnston Memorial Library, being instrumental in having it moved to the Department of Education. He retired to British Columbia where he died at New Westminster on 15 February 1974. We thank Nathan Kramer and Mireille Theriault (Manitoba Teachers’ Society) for providing additional information used here.